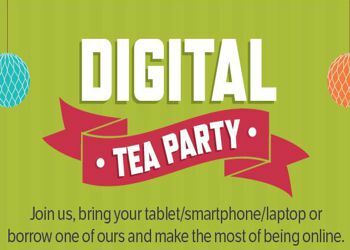 We're delighted to announce that Selsey Town Council is working in conjunction with West Sussex County Council to bring the Digital Tea Party to The Selesy Centre on Friday 6th October. Join us, bring your tablet, smartphone or laptop or simply borrow one on the day and let us help you make the most of bieng online. This is a drop in event from 2pm until 4pm, refreshements are available.